Posted by jeffrooney in Aging. My friend Alexandra recently sent me notes from the studies of Mario Martinez about centenarians. This is a quick sketch of his research based on many interviews in different parts of the world. If you google him you will find his many resources. Below is a youtube interview with him that is about 20 minutes in length. An area I am presently exploring is the difference between simply aging and elderhood. There are many emerging resources on this topic that are encouraging. Let me know what you think when you look these over! Illness is the cultural belief, disease is the attack on the body/mind; often the cultural belief determines the outcome; culture shapes, biology follows. Even with clogging of arteries, etc. Buying into the cultural belief system is bad idea; Cultural portals where you might examine your beliefs: youth, middle-age, retirement, senior citizenship — what do you believe about these? Posted by jeffrooney in Athletic training, Exercise, Fitness, Movement, Nutrition, Posture. As usual a pretty informed piece from Mark Sisson on the constituents of “recovery” with any exercise program. 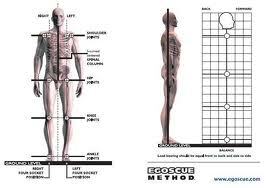 Use his 7 point recovery evaluation for your own exercise efforts and take stock of what is deficient. Then make some effort on this aspect and take note of the changes in how you feel.